By replacing every fourth red, green, or blue subpixel with a white one, LG boosts the brightness of its 6100-, 6500-, and 6800-series models. The trick works, but it sacrifices resolution. Even in an industry that rounds up 3840 pixels to 4000 pixels to market TVs as “4K,” it’s alarming that a major tech manufacturer would blur that definition even further. That manufacturer is LG Electronics, and the TVs in question are LG’s 6100-, 6500-, and 6800-series LCD models, which rolled out this year and last. These aren’t to be confused with LG’s OLED TVs, which remain among the best you can buy. As with any other 4K TV, the panels in these LCD models have 2160 horizontal scan lines with 3840 pixels in each line. The pixels in these LG models, however, are very different from what you’ll find in competing 4K TVs—and that difference has a negative impact on image quality. It’s an issue that flies beneath most consumers' radar because LG doesn’t disclose its departure from conventional standards in its advertising or published specifications. I’ve spoken with big-box store sales personnel about LG’s unorthodox technology, and they weren’t aware of it either. These LG TVs aren’t bad, by most measures. And if you buy one, you might not notice their shortcomings for a while, if only because there’s so little 4K content available. But as that 4K content proliferates and you see it on 4K TVs that have more conventional pixels, you’re liable to be disappointed with your purchase. A single pixel in a conventional LCD display consists of three subpixels: red, green, and blue. A white subpixel can be added to that array to increase a panel’s brightness—it’s an inexpensive way to increase a panel’s luminance, although it also affects color saturation and gamut. Still, luminance is almost as important as the number of pixels for creating a crisp, detailed image. But a bright panel in and of itself won’t deliver the best-quality picture. Read our article on high dynamic range—HDR—for more details. LG takes an unorthodox approach to how it handles the white subpixels in its 6100-, 6500-, and 6800-series TVs. Instead of adding white subpixels to the RGB subpixel arrays, as it does with its OLED models, it replaces every fourth red, green, or blue subpixel with a white one. So three out of every four whole pixels are missing colors. The patterns below will give you a clearer idea of what I’m talking about. In the standard RGB pixel arrangement, three subpixels (one red, one green, and one blue) make up one whole pixel: That’s 11,520 subpixels and 3840 whole pixels in each row. Here we see the offset replacement RGBW pattern that LG uses in its budget LCD TVs.There are still 11,520 subpixels and 3840 whole pixels per line, but only 2880 of those whole pixels can produce the full range of colors (because every fourth subpixel is white). When building its OLED TVs, LG uses four subpixels (red, green, blue, and white) to create one whole pixel. That’s 15,360 subpixels and 3840 pixels per row. Note that the above images are to illustrate a concept; they’re not necessarily indicative of the way the subpixels or pixels are sized, spaced, or oriented. The black borders in the illustration are there simply to divide the pixels. 4K RGB LCD: 11,520 subpixels in groups of red, green, and blue, forming 3840 RGB pixels per row. LG’s RGBW LCD: 11,520 subpixels where only some groups have all three color elements. Every fourth red, green, or blue subpixel is replaced by a white subpixel to increase luminance. That still comes out to 3840 pixels per row, but there are only 2880 RGB groups staggered over those 3840 pixels. Where LG’s argument falls apart is in the reduced number and increased spacing of the red, green, and blue subpixels. It’s simply not possible to render details as finely with LG’s matrix—where every fourth red, green, or blue subpixel is replaced by white—as other 4K TVs can render with matrices consisting of conventional RGB (or RGBW) subpixel groupings. LG mitigates this shortcoming somewhat by tweaking how individual subpixels are addressed and by offsetting subpixel colors by row, so that two white subpixels are never adjacent. But at the end of the day, the LG panels in question still have only 75 percent of the red, green, and blue subpixels to work with. To empirically test whether LG’s panels fall short on 4K image quality, I gathered up my 4K (3840x2160) test files, and headed for the local big-box store. 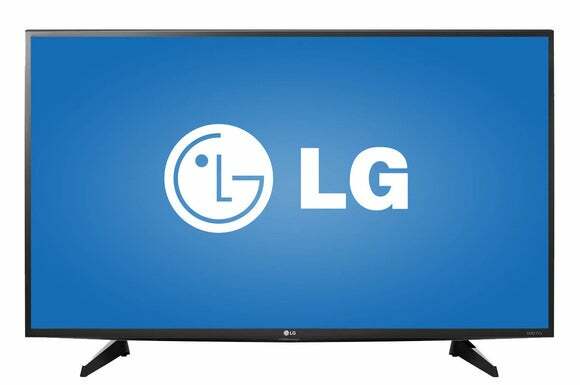 I would have loved to sit in the lab comparing TVs, but I was unable to obtain a relevant TV from LG in time. No matter, though. The results on the LG 6100-series TVs I saw were indicative of an image-quality deficiency compared to 4K UHD. In fact, they were obvious upon close inspection to both myself and everyone around me. As I expected, the presence of the white subpixels rendered the 6100-series TVs’ color temperature cool, skewing it toward toward the blue end of the spectrum. What wasn’t cool was the lack of detail in the 4K video and images the TV displayed. 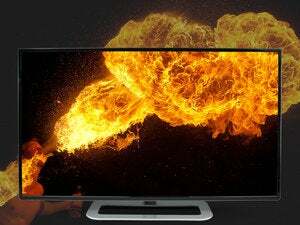 This image is from LG’s site; whether it’s actually one of the TVs in question or just an artistic rendering isn’t clear. I’ve viewed our test files hundreds of times, on dozens of 4K TVs, and to be perfectly blunt, they didn’t look like 4K when displayed on the 6100 series. Instead, the picture looked exactly like what LG’s detractors say it is—3K resolution (2.8K to be precise). Areas of high detail were less defined, and the overall look was simply softer. The ongoing dearth of true high-quality 4K content is probably why you haven’t seen a lot of complaints from buyers of these TVs. In fact, if you look right now, you’ll encounter quite a few positive user reviews, but I’m guessing opinions will change over time as more 4K content becomes available. Why would LG take this approach to building TVs? Well, besides producing a good amount of brightness, an RGBW LCD panel is more energy-efficient than an RGB LCD panel, which must blast all three subpixels with its backlight to create white. 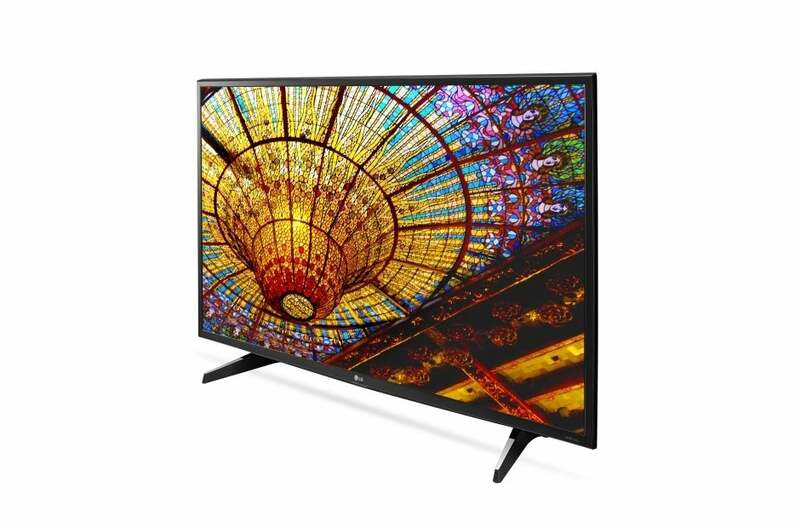 LG’s 43-inch 43UH6100 is rated for an operating cost of $16 a month, where most LCD TVs of similar size and brightness are rated to cost $20 or more per month to operate. LG also quotes lower productions costs in the papers I’ve seen. The subtractive/replacement RGBW used to produce LG’s 6800-, 6500,- and 6100-series TVs wouldn’t be an issue if the technology were advertised as 2.8K, or even—as the industry is wont to do—rounded up and pitched as a 3K. Failing that, consumers should be given at least a footnote in the specs. But these TVs are being sold to consumers as if they offered the same technology found in nearly every other 4K TV on the market, and they don’t. For the sake of argument—and lending LG’s marketing and definition a credence that I don’t feel it deserves—let’s say that the 6100-series TVs I viewed are 4K. In that case, I’ll say that in terms of definition and detail, they offer by far the worst 4K image I’ve seen. And image detail is really what 4K is all about—or will be about when the content catches up. I haven’t had a good look at a 6500-series TV, and have never seen a 6800-series model, but caveat emptor.